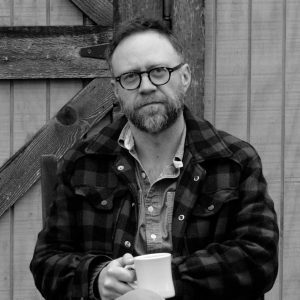 Cody McKinney is an award winning composer, sound artist, bassist, and educator. He has been commissioned by the Walker Art Center to perform original work along side the legendary Merce Cunningham Dance Co., and has taught professionally for over 15 years, leading ensembles, master classes, and giving private instruction. An alumnus of the Berklee College of Music and The New School for Jazz and Contemporary Music, Cody’s professional interests include music theory (traditional, jazz), composition (functional, experimental), curation, and advanced rhythmic concepts. Cody has performed or recorded with many artists of note, including: members of Prince’s New Power Generation (most recently, guitarist Donna Grantis), Tower of Power horns, Rogue Valley, and members of Atmosphere, Andrew Bird, and Dosh. Cody has also toured internationally as a sideman, performing for crowds of up to 20,000 across the US and Europe. He composed scores for award winning independent films, television jingles, and internet campaigns, with his work being featured on Late Night with Jimmy Fallon, ESPN, and VH1. Currently, Cody is bassist/ band-member for artists Chris Koza, PaviElle, and Donna Grantis. He curated Reichfest!, along with co-curating Sound/Simulacra, a monthly concert series at Jazz Central Studios. Clients for commercial orchestration projects include Colle-McVoy, Olson Advertising, Jostens, Food Lion, and Cantata Learning. Cody teaches in the Sound Design for Visual Media program at IPR, leading Audio production for Visual Media and Scoring for Film and Television courses.